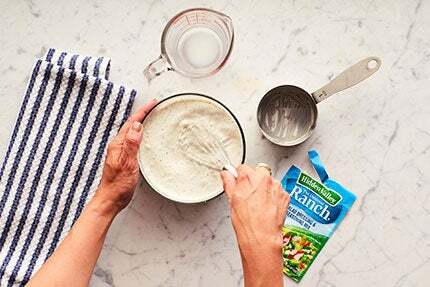 Not all of us have time to mince and mix the herbs and spices required to make “from scratch” ranch dressing. Thankfully, this fast fix will save you time — and ingredients. 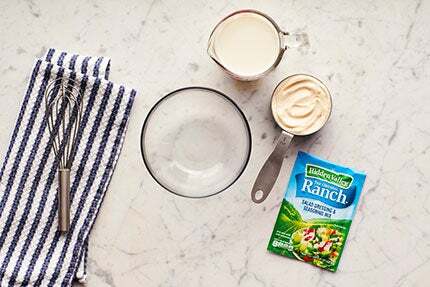 All you need is milk, mayo and Hidden Valley® Original Ranch® seasoning mix. Combine one cup milk, one cup mayo and contents of seasoning pack in a bowl. Cover and chill for 30 minutes to thicken the ranch.